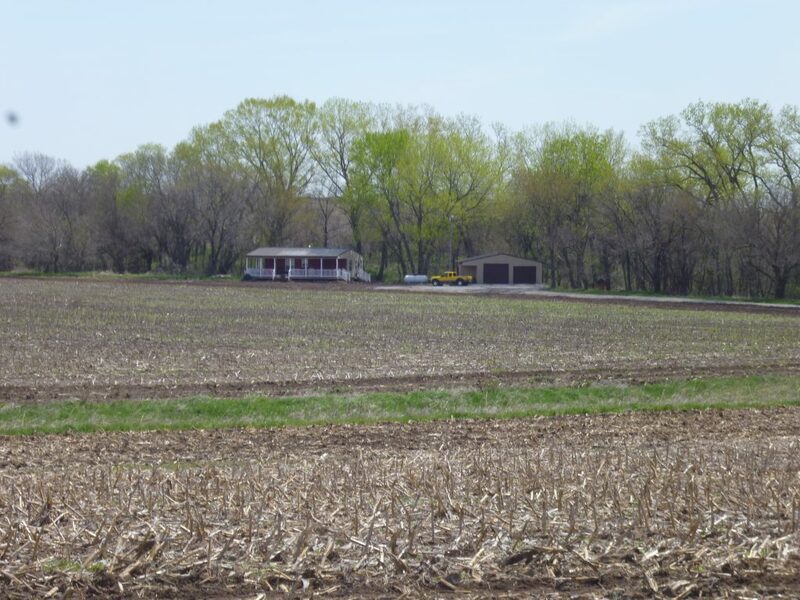 Description: 155.85 acre, non-irrigated farm in central Saline County, Nebraska. Property includes non-irrigated cropland, pasture, and a rural acreage with 2-bedroom, 1-bathroom modular home, steel garage, and pond. Offered in two parcels. Northeast of the intersection of Road Q and Road 1000. Address of acreage: 1020 County Road Q, Western, Nebraska 68464 - 1 mile south and 3/4 mile west of the south intersection of Highways 41 and 15. The Southwest Quarter (SW 1/4) of Section Twenty-Two (22), Township Six (6) North, Range Two (2) East of the 6th P.M., Saline County, Nebraska.